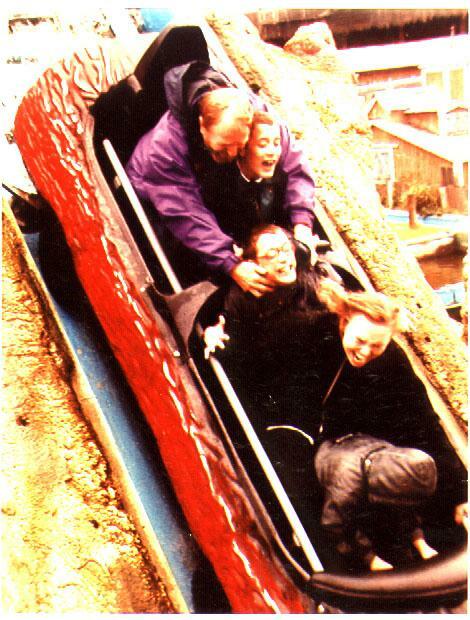 Some of us enjoyed the flume at Drayton Manor (perhaps). Steve – why are you trying to pull Matthew’s ears off ? This was a day trip – I don’t have the exact date, but it was during the Summer Holiday of 1996. 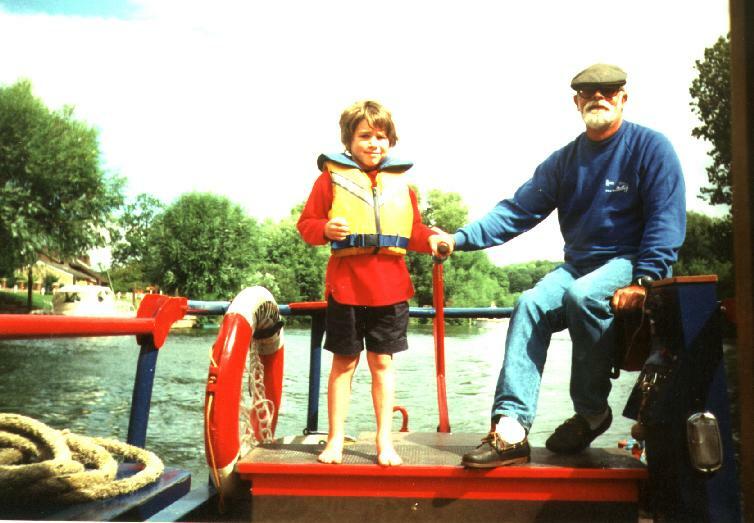 Oxford Phab have had several wonderful holidays on board the Oxford Narrowboat Trust boat – The Venturer. Any of our members who wished had the opportunity to steer the craft. A skipper came with the boat, and he knew the Thames very well, including all the places we could moor, and put down a ramp to get wheelchairs on and off. The boat has a lift, making the cabin, where slept, cooked, ate and sat around chatting accessible to all. The large windows provide a good view from inside the cabin of swans, ducks, other wildlife and other boats. These old programme entries are here so prospective new members can see the things we have done in the past, and to bring back memories for those who took part. 14-Oct-1994 – Ordinary Club, plus Murder Mystery and Suspense !! 11-Nov-1994 – Cinema trip – you must tell Mary or Dot by Tuesday if you wish to go. 16-Dec-1994 – Christmas meal – details to follow. Note that I don’t have a full programme for 1993 – I will update this post if I find more. This poetic annual report was probably from 1993, as that is when Oxford Phab was registered as a charity. If I can find the date I will update it. and walks in the park. 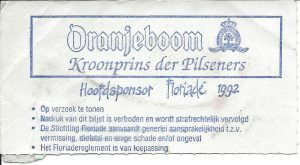 We had a club holiday in Holland from April 18th to 26th 1992. We hired an accessible coach, which took us from Oxford to Harwich on the 18th. A little group of us went to the Captain’s Bar, where there was a good live group. We then boarded the ferry, travelling overnight to Hook of Holland. Sunday 19th – arrival in Holland, Floriade and Ten Anker. We awoke on the ferry at about 6am, got up and had breakfast (bacon and eggs, for those who wanted). When to ferry arrived we left the ferry, boarded our coach and headed for Zoetermeer. There we were lucky enough to see the Floriade – an exhibition and garden festival which is only held every ten years, in a different location each time. 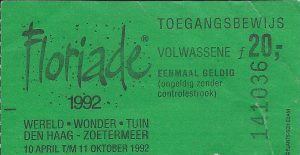 The 1992 Floriade was on a huge site, large enough for us to lose some members, in those pre-mobile phone days, and then to lose the search party. 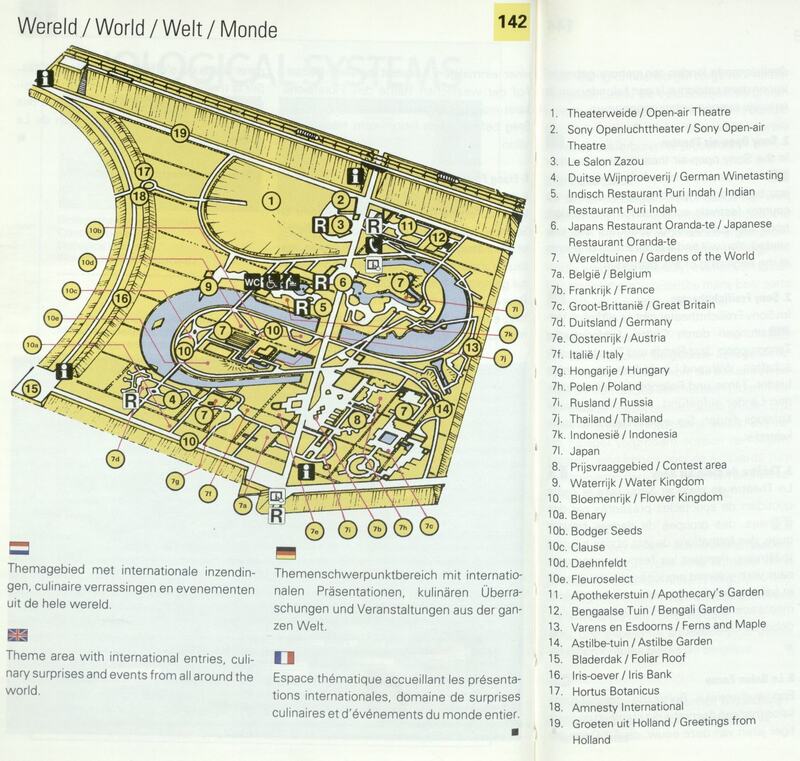 Map of the 1992 Floriade – click for more information and pictures from the official site. There were massive displays of tulips and pansies, as well as exhibits from many countries and a tram to get us around. 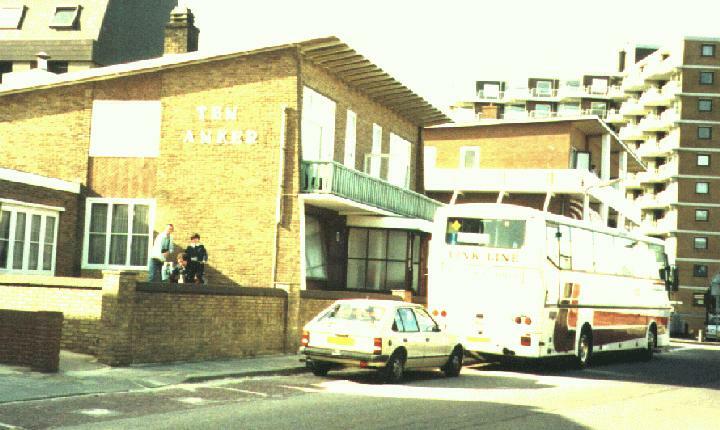 Once we were all assembled our coach took us to Egmond aan Zee, where we unloaded outside Ten Anker. 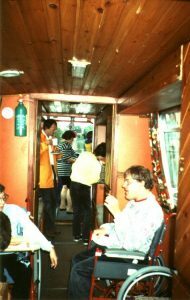 Ten Anker – where we stayed. 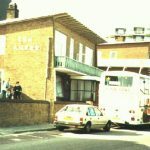 It has been rebuilt, as you can see from Streetview, but the street is still there. Unfortunately Ten Anker, the house we were staying at, was – to put it mildly – not very clean. We were also late in the day, so we rushed to the restaurant at the Lido, where we paid 50 Guilders per person for a 2 course meal, for example soup and schnitzel with paprika (Zigeunerschnitzel). We then returned to Ten Anker to clean thoroughly, before finally turning in for the night. 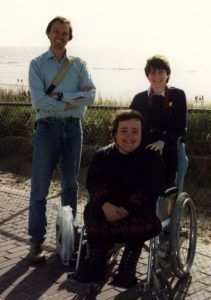 John, Ann and Julie by the seaside in Holland. We took the coach to Madurodam, where we spent the day, returning to eat cauliflower cheese. We had a little trouble parking in Amsterdam, but succeeded, and visited the Vincent Van Gogh Museum, walked to Leidseplein, and went on a boat trip on the canals. As we were in Holland we had to see Windmills and Zaanse Schans is the place to do it. Another Dutch speciality is cheese, and the best place to experience this is the cheese market at Alkmaar. I think we then visited Spaarndam and saw the statue of the of the boy plugging the dike with his finger. In the evening we went bowling, followed by a disco. We visited the Aquarium at Bergen aan Zee, then returned to Egmond, to go into town and have real Dutch pancakes. We then did some tiding and had a party. We made sure Ten Anker was spick and span before we left, had breakfast in town, and drove to Hook of Holland. We returned on the Stena Line MV Koningin Beatrix to Harwich, and finally back to Oxford.